For Eisch, glass is more than just a simple article for daily use. glass combines fantasy, nature art and culture. Eisch uses many skills and techniques to craft glass that can serve as a decorative companion to the beauty of life. Eisch 300 years engaged in the glass industry. 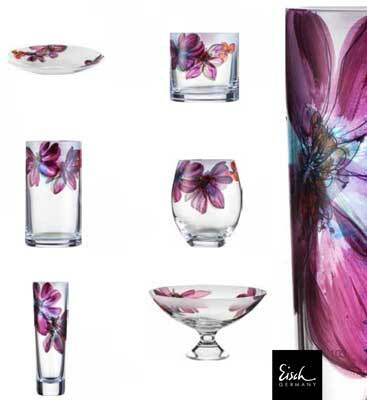 Eisch painters infuse the glass with the beauty of nature. Engravers employ their traditional handcraft techniques to imprint modern decorations onto the glass. All glass decoration at Eisch is done by hand and Eisch has received many awards for its work. 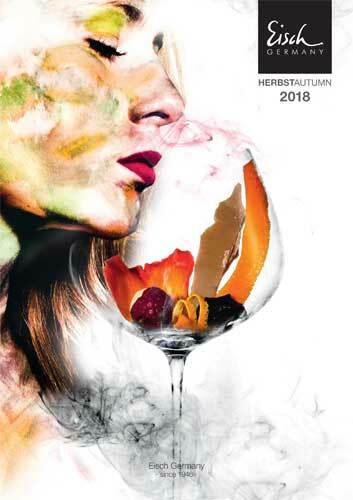 Today Eisch is exploring new and innovative techniques in glassworks for the benefit of the wine lover. 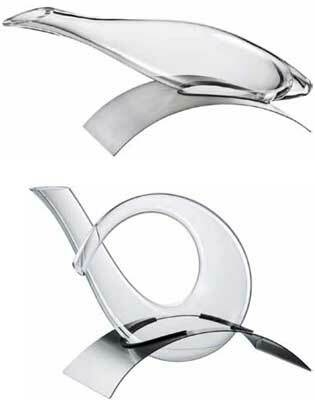 A new Eisch product are the no drip decanters. Inspired by the way a lotus leaf sheds water, the No Drop Effect decanter has a specially treated rim; after pouring, a bead of wine teases you by balancing on the decanter's lip, steadfastly refusing to fall on the tablecloth. 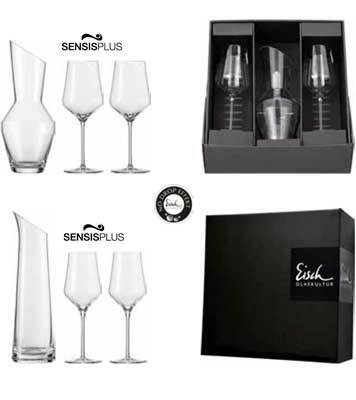 The latest innovation at Eisch is the Sensis Plus glass. 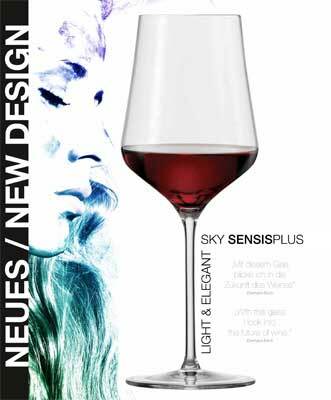 Wine poured in Sensis Plus glasses becomes more harmonious and complex, with better balance and greater elegance. 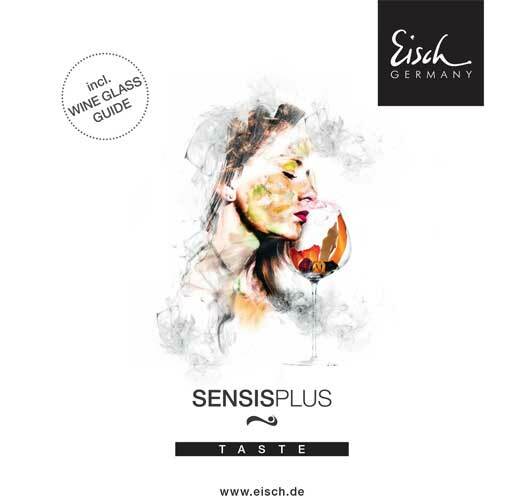 through a completely natural process, the original character and structure of the wine are preserved, while its aromas and flavors become more expressive and generous..
Eisch wine glasses with Sensisplus, probably the best wine glasses in the world? With the SensisPlus glasses you dive even deeper into the world of the flavours of wine - and so into its story. Pure and original. With SensisPlus the wine shows to advantage its full complexity and potential. 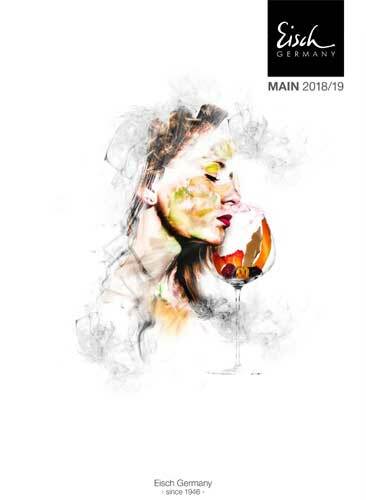 From fruity and mineral notes to the spicy and voluminous no single nuance will remain hidden, while the original character of the wine and its structure will be preserved. 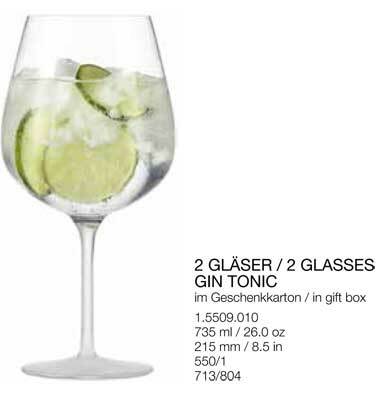 Hogo 2 glasses Gin Tonic in gift box. 735ml / 26.0 oz. 215 mm h. High-quality lead-free crystal. Handpainted. Dishwasher safe. Avoid red wine stains - decanting without drops. Already when wine is poured, the NO DROP EFFECT almost completely prevents the formation of drops at the rim of the glass. As a result, no drops of red wine will run down the outside of the carafe. This guarantees perfect stain protection of vessel and tablecloth! The NO DROP EFFECT is based on a special treatment of the glass surface witch permanently prevents drops from running down the outside of carafes and duck decanters. Eisch glass is situated in Frauenau Germany. Sico is the agent for Belgium and Luxembourg. High-quality lead-free crystal glass whish is mouthblown. Stands on a stainless steel base. Bowls in different sizes and forms. 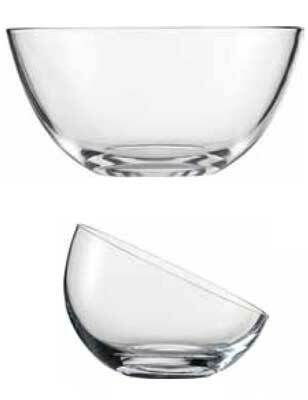 All bowls are in high quality lead free crystal glass and are dishwasher proof. Alba is a beautiful glass collection. Handpainted bowls, vases and stormlight. 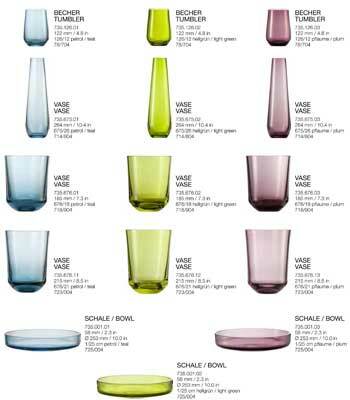 Eiach glass has a large assortment of glasses and glass accessories. Alba is just a olourful example. 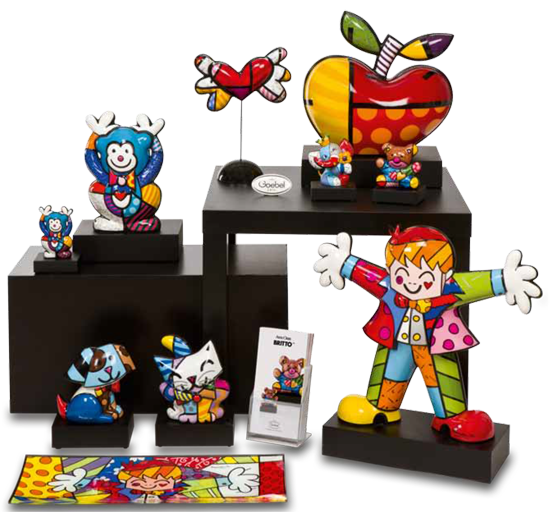 Inside is a glass collection in high quality coloured lead free crystal glass, mouthblown in Germany.